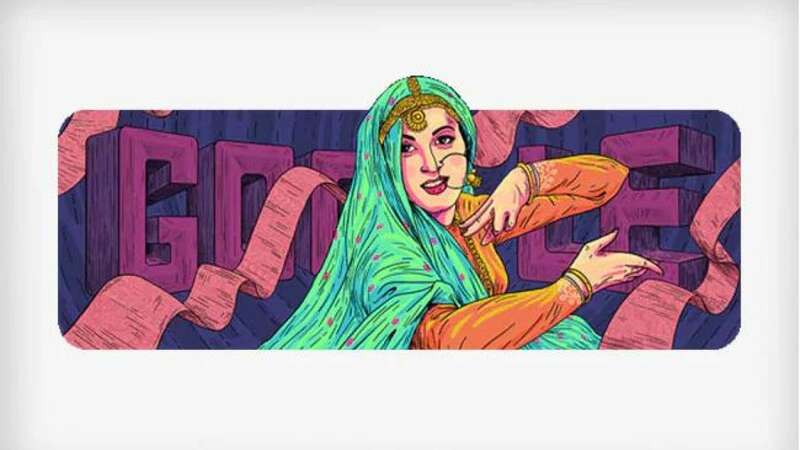 New Delhi : Google on Thursday celebrated 86th birthday of iconic actress Madhubala via a doodle. She was famous for her flawless beauty, personality and sensitive portrayals of women in films. She was so attractive that some even tagged her as 'The Marilyn Monroe of Bollywood'. Raised in the slums of Mumbai, she supported her family as a child artist and later went on to fetch the leading roles with her elegance on screen and considerable acting abilities. Madhubala was born in Delhi in 1933. She bagged her first film at an age of 9. Earlier, she got famous with the name baby Mumtaz. In 1947 she landed the lead role in Neel Kamal at the age of 14, taking the name Madhubala. In her acting career, she appeared in over 70 movies. Madhubala- who would have turned 86 today-was called "The Biggest Star in the World" in 1952 by Theatre Arts magazine.